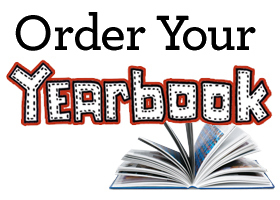 Friday is the last day to order your yearbook at the lowest price of the year! After Friday, the price will be increasing by $10. Also, if your book is purchased at the lowest price of the year, your student's name will be entered in a drawing to receive a refund for the price of their book! Visit jostensyearbooks.com today to get yours! Attention Seniors & Parents: Please do not forget to continue to bring your senior and baby photos for the 2019 Senior Photo Album. These photos can be turned into the office, Mrs. Petty, or Ellie Hanfland. All forms and senior questionnaire responses are due September 28th! Please contact thsyearbook@ttown.k12.il.us for more info, questions, or concerns! 2018 Graduates & Parents: Please don't forget that yearbooks have arrived & are available for pickup. Please make arrangements for these books to be picked up in the high school office ASAP!